The Toronto Raptors are quietly putting a nice start to its 2017-18 season. Toronto sits No. 2 in the Eastern Conference at 17-7 and is 8-6 on the road where it will encounter the hosting L.A. Clippers in the second game of a Monday night NBA TV double header. The game tips off at 9:30 (CT) and the Raptors are 5-point favorites over the 9-15 Clippers. Los Angeles has been without star forward Blake Griffin and has dropped six of its past 10 games to fall to No. 11 in the West. Check out LIVE NBA odds! The Clippers are trying to avoid a freefall without Griffin. Having already lost star point guard Chris Paul over the offseason, Los Angeles more or less handed the reigns of the team off to Griffin, who led it in assists at 5.1 per game prior to suffering the leg injury. Griffin is still out up to two months with what is being termed a sprained MCL, and the Clippers really have no offensive creators to step up in his stead. To be sure, Austin Rivers and Lou Williams are both good bucket-getters, but neither offers much along the way of getting teammates involved, and Patrick Beverley is not known for that a lot either, as the team’s floor general. Really, the point-forward experiment with Griffin was all the Clippers had to muster a chance against more talented teams in the West, and for all that Danilo Gallinari spoke of the team having the league’s best frontcourt, it is almost devoid of playmakers to get those big men baskets. Center DeAndre Jordan has suffered sans Paul, and Gallinari is finding it more difficult to get offense as a Clipper than he did during his tenure in Denver either. Between the two, they combine to average just 23.9 points per game, which makes Griffin’s 23.6 per game still not enough. The Clippers put up 105.3 points per game as a team, which is respectable in today’s NBA, but the team is being obliterated defensively and surrendering 107.9 points per game. Even with a premier rim protector like Jordan and a disruptor in the backcourt like Beverley, the Clippers have not found a way to form a coherent team defense, with missing rotations and lazy swings accounting for teams continually hurting L.A. from the perimeter. The Clippers may trail Utah by just 2.5 games at this juncture, but all of the teams ahead of Los Angeles (perhaps save cross-town rival Lakers) are better teams on the defensive end. Between not having a real formula for offensive success, but just a glut of talent, and the team’s glaring defensive inadequacies, it is difficult to envision the Clippers sneaking into the postseason. Subtract Paul and head to the lottery? That actually sounds like just what a purist would expect, and only Griffin’s own fans expected him to be able to carry the offensive load for an NBA team for a full season without serious injuries. He is an injury prone star, and the Clippers are now a strange collection of talents without his game-changing abilities on the court. It is not difficult to see why the team is six games below .500 with those woes clearly laid out before the reader. Toronto has knocked off its past six opponents and boasts the league’s third-highest scoring average behind only Houston and Golden State. The team is also strong with a top-10 defense that allows only 103.5 points per game. The Raptors are quietly contending, and probably the reason for the silence about the team’s play has been the fact that point guard Kyle Lowry and shooting guard DeMar DeRozan are continual playoff disappointments. Perhaps what few are considering is that label could be shed on any given year, and the way Toronto is playing, some might be inclined to say this is, in fact, that year. DeRozan has thrived as the team’s primary scorer despite not being much of a three-point threat. DeRozan averages 23.5 points per game and gets it done in the mid-range while also slashing to the hole plenty. Lowry is putting together another well-rounded statistical year with 16.5 points, 6.5 rebounds and 7.1 assists per game. Lowry is only managing 0.9 steals per game, which is anamalous for him, but he is gambling less and playing solid man-to-man defense. Veteran forward Serge Ibaka has declined considerably as a defender and rim protector, but he is still a serviceable power forward and upgrade over the likes of Patrick Patterson. Sharpshooting swingman CJ Miles and center Jonas Valanciunas are both having respectable seasons, while the Raptors also boast plenty of depth with an assortment of talented youngsters like Norman Powell, Delon Wright, Jakob Poeltl, Pascal Siakem and OG Anunoby. All play 16 minutes or more per game, while averaging no less than seven points a night. 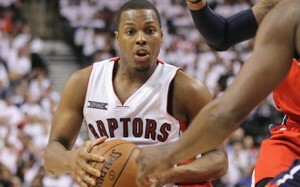 The Raptors have defense, depth at all positions, and a high scoring offense. What is not to like? 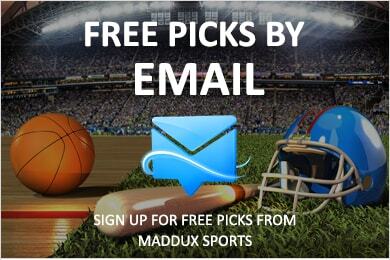 Maddux Handicappers are killing the NBA game again, subscribe to our affordable season pick packages TODAY!